Recently, my friend and I were starving on a Sunday morning as usual; we were looking for a nearby brunch fix that wasn't going to break the bank. We settled on Green Street Cafe in Coconut Grove because it usually fits the bill. The only problem was that it seemed like half of Kendall had also settled on the same restaurant for brunch. Luckily, this restaurant is relatively large with lots of sidewalk seating as long as the south Florida weather cooperates. So although there were tons of people buzzing around, getting a table was a non-issue. Their menu is simplistic with nothing insatiably unique about it. 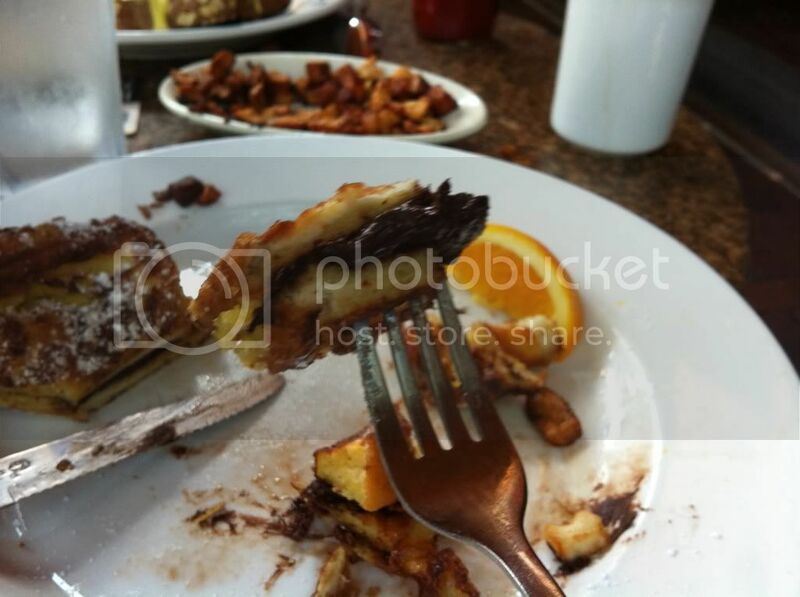 They cover all the basics: variety of pancakes, omelets, egg benedict, French toast, continental breakfast and scrambled eggs with a variety of add-ons. Their prices are also very reasonable for the most part. I decided to go with a full order of their Chocolate French Toast. By the way, always go with the full order at this place, the price difference is only a $1.50 less for a half order. That’s just ridiculous if you ask me. My French toasts came out and appeared like toasty chocolate sandwiches. There were pieces of thick chocolate nestled between each slice of bread. The bread was slightly crisp around the edges, soft and fluffy in the center and lightly dusted with confectioner’s sugar over the top. It was a good start to my lazy fatty Sunday. 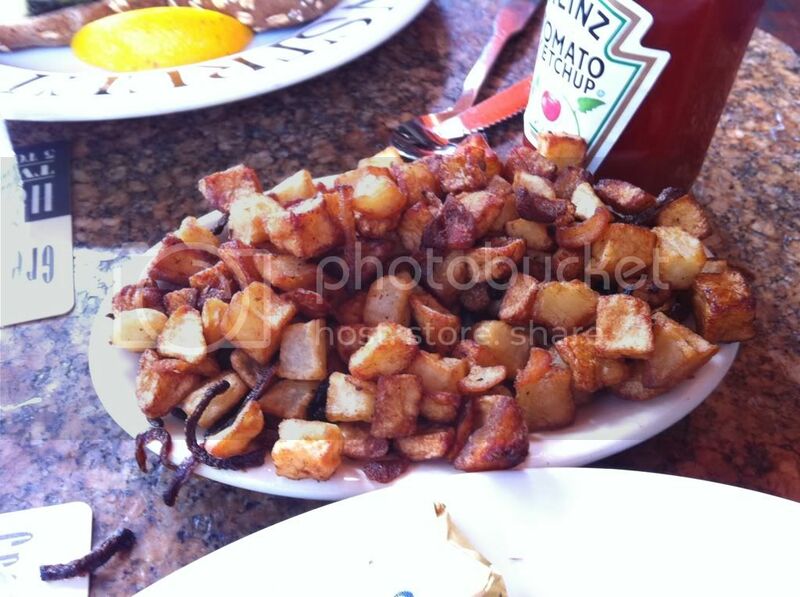 Along with my chocorrific French toast, I got a side of their potatoes. Their potatoes were great with little pieces of burned and crispy onions tossed in. They were lightly seasoned with salt and pepper and they gave a generous portion. The only downside was that their portion was so generous that the plate they were served in was too small and there were potatoes all over the damn table. Other than that, I really enjoyed them and the flavor they had thanks to the burned onion bits. 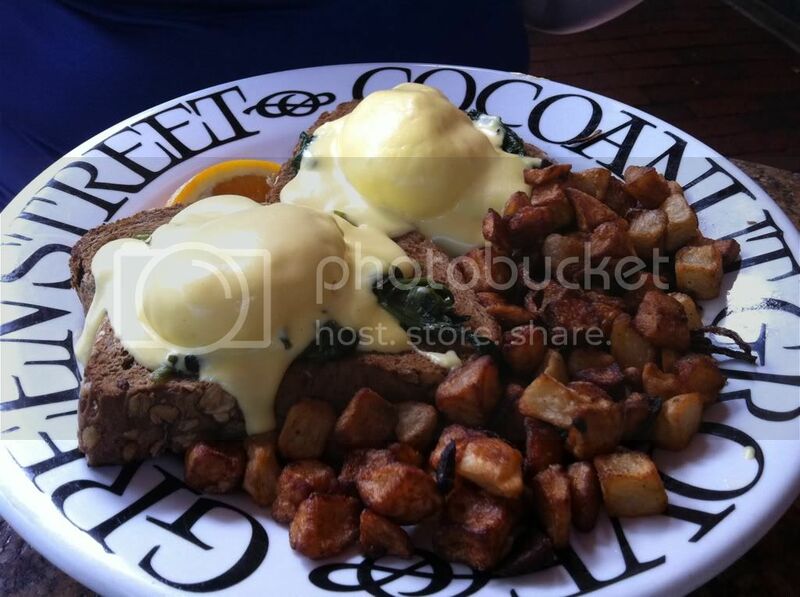 My friend had their Eggs Benedict Florentine over wheat bread with a side of the same potatoes I had. She was happy with her dish and although I did not try them for myself, they did look very good. 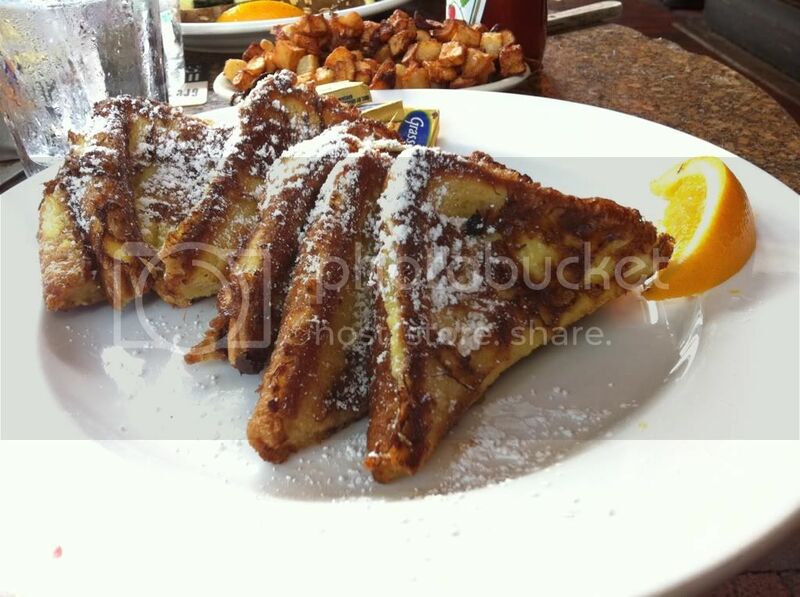 This restaurant is usually my old reliable for brunch in the Coconut Grove/south Miami area. It's not earth shattering or mantra altering, but it's good food in a nice neighborhood. It’s usually very busy during the weekends but with ample outside seating and a large staff, there’s usually not much of a wait. Unless it’s raining, then you’re absolutely screwed. However, because there is a large wait staff and relative busyness, trying to get a hold of your waiter can at times be like trying to find a good driver in Miami-Dade County. If you’re ever in the area and looking for a solid breakfast/brunch this is definitely a good place to check out.